Polaroids spectacles are used for viewing 3D films. Stereoscopic motion pictures can be produced through a variety of different methods. Over the years the popularity of systems being widely employed in film theaters has waxed and waned. Though anaglyph was sometimes used prior to 1948, during the early "Golden Era" of 3D cinematography of the 1950s the polarization system was used for every single feature-length film in the United States, and all but one short film. 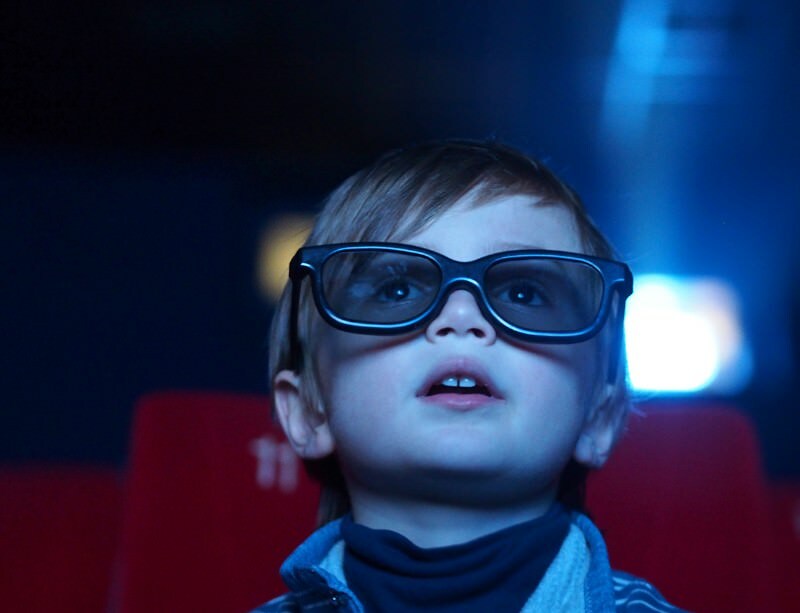 In the 21st century, polarization 3D systems have continued to dominate the scene, though during the 1960s and 1970s some classic films which were converted to anaglyph for theaters not equipped for polarization and were even shown in 3D on television. In the years following the mid-1980s, some films were made with short segments in anaglyph 3D. The following are some of the technical details and methodologies employed in some of the more notable 3D film systems that have been developed. To present a stereoscopic motion picture, two images are projected superimposed onto the same screen through different polarizing filters. The viewer wears low-cost eyeglasses which also contain a pair of polarizing filters oriented differently (clockwise/counterclockwise with circular polarization or at 90-degree angles, usually 45 and 135 degrees, with linear polarization). As each filter passes only that light which is similarly polarized and blocks the light polarized differently, each eye sees a different image. This is used to produce a three-dimensional effect by projecting the same scene into both eyes but depicted from slightly different perspectives. Since no head tracking is involved, the entire audience can view the stereoscopic images at the same time. Additionally, since both lenses have the same color, people with one dominant eye (amblyopia), where one eye is used more, are able to see the 3D effect, previously negated by the separation of the two colors.